Your donations help us reach more souls every year. Donations help us to maintain, transport, set up and operate the Exposition as well as create new services that help educate more and more individuals every year. Your donations in cash, materials, services and personal time may radically help us to lower ticket prices for a location and be able to reach more souls. ShroudExpo does not have any billionaire supporters. We depend on the support of many of you to make our services possible. Your donation or purchase of tickets and merchandise are an enormous contribution. We thank you for all you do for us. Volunteer your time. Please fill the “contact us” script on this page. Tell us more about you. Are you an artist, writer, social media expert? Want to cooperate with us. Please contact us. We love to cooperate with local organizations, churches or dioceses. Please contact us. We do not exclude business organizations. Please contact us and let’s see how can we cooperate. Any other ideas? Please let us know here. Volunteers are crucial. Our efforts could not take place without volunteers. They are our milestone. ShroudExpo will gladly work on taking the Exposition or other services to any community organization or churches that request it. From that point on, we need local volunteers to work with us in preparing the arrival of the Exposition, so it becomes a community event, fueled by you. Anyone can volunteer to help in their local community or next locations as are determined. There are efforts nationwide or internationally for you to be an integral part. Anyone can help. Just by telling your neighbors and friends about ShroudExpo and the Exposition, you are helping us to reach everyone in your community, so we can reach as many during our stay at your location or others. ShroudExpo cooperates with Catholic Church dioceses, and other Catholic and non-Catholic local organizations to bring this event to their local area. 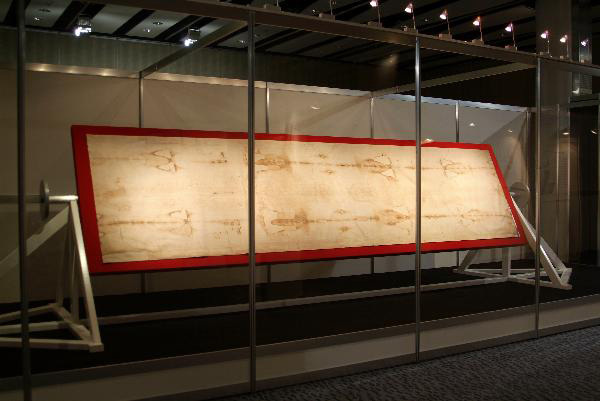 The Exposition is an event that has been created to educate and energize the local community by sharing the research and knowledge of the Shroud to the general public in a way that is extremely emotional and personal. 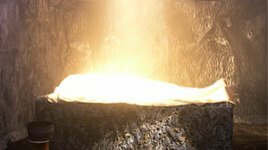 In order to succeed, a community effort is created among the local dioceses, other denominational churches, and other local organizations that understand the value of such an event to reach those that are not aware of the significance of the Shroud or even its existence. You can volunteer through one of the local organizations working to bring the Exposition to town or directly with ShroudExpo by contacting us. ShroudExpo is in immediate need of these items or services. Please review and let us know if you can help with any of these items. This section is constantly changing as need arises. Items are listed based on date of posting, unless are in need now. ShroudExpo needs $85,000.00 to create new pieces and replace equipment for the next Exposition. Need local volunteers to support with social media and coordinate cooperation with local organizations to help us secure new locations and media exposure. Need a 24Ft box truck with a lift to help us transport pieces and material. ShroudExpo is cooperating with local groups and the Diocese to bring the Exposition to San Salvador. Extra support on your part is needed here. The intention of ShroudExpo is to be able to provide free or near free entrance to all during our stay in El Salvador, in order to reach everyone. Special programs will be released soon for you to help us take the Exposition to San Salvador. Without your help, this mission will not be possible. El Salvador is a country that has seen the level of violence and unrest spike during the last years due to the influence of maras (mafias) and drug trafficking. We hope that the Exposition is a tool to bring solace and peace to many. First of all, we want to thank Dr. John P. Jackson and Rebecca Jackson for their tireless and invaluable support to ShroudExpo’s mission. 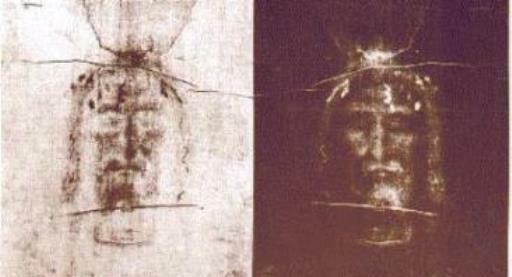 Dr. Jackson has been an inspiration since leading the Shroud of Turin Research Project (STURP) in 1978. The team that works every day to make the Exposition a meaningful and successful tool draws knowledge, inspiration and encouragement from Rebecca and Dr. Jackson. Thank you for all your support and willingness to travel to wherever the Exposition goes, to grace local communities with your presence and a lifelong research knowledge of the Shroud. All our friends on Facebook and other social media services that extend the Expo news to their communities, families and friends. Royal Oak First United Methodist Church for allowing us to rent an empty building of theirs for an Exposition that they agreed was for everyone: Catholic or non-Catholic, believer or non-believer. Norman Kiminaia, entrepreneur, supporter and ambassador of the Exposition to the Chaldean community in Michigan. Robert and Gabriela Flannery, friends and ambassadors of the Expo for their selfless support on behalf of the Shroud of Turin Expo. Bill Timmerman, a true “Shroudy”, for his friendship and tireless work educating everyone he comes in contact about the Shroud of Turin. He is a great resource for the San Antonio area and an example for all of us. 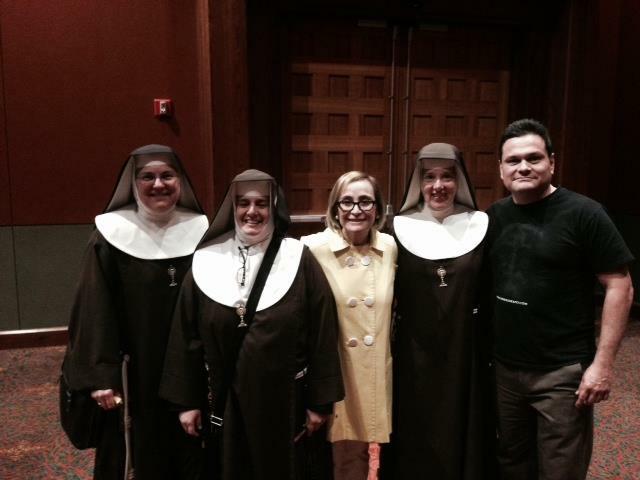 The Texas Nuns for their encouragement, friendship and help telling the community about the Exposition. We encourage anyone to listen to their radio program “A Good Habit”. Teeple Properties, Inc. for hosting the Expo at their facilities and especially Carmen Luna, the business manager for their assistance and support. Should you need space in Downtown San Antonio do not hesitate to reach them at Kinterests@aol.com. The City of San Antonio Building Department, Fire Department, San Antonio Police and Bexar County Sheriff Office for their support to the Expo. Sammis & Ochoa, the public relations of the Shroud of Turin Expo in San Antonio for their relentless commitment to tell the local community about the Expo’s short stay. Catholic Charities of San Antonio for opening their doors to collaboration with the Expo. The Dioceses of San Antonio for the warm reception and support, in special, his Excellence the Archbishop of San Antonio, Gustavo Garcia-Siller. SkyNet telecom, a local San Antonio based company, for providing internet and phone service in a record time to a facility that lacks any services.